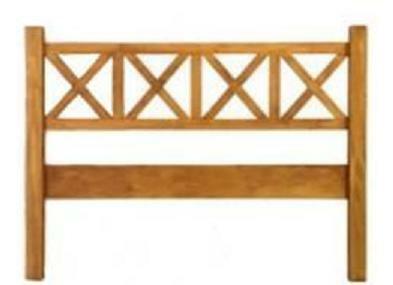 This fairly basic yet durable and charming headboard is the most economical headboard we have to offer. For a lovely bedroom ensemble, you can combine it with more a more ornate dresser or night stands, or we can customize it for you in a Cottage series bright finish, or dark chocolate stain. Having said that, just as it is, in medium finish, it has tons of simple, rustic charm.